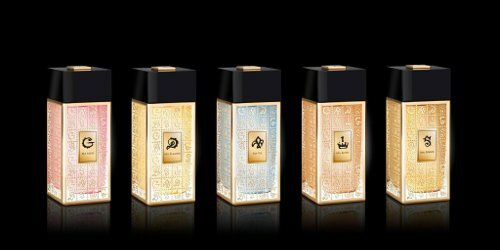 Parfums Salvador Dali has launched the Dalígramme Collection, a new collection of five fragrances: Ma Flamme, Ma Force, Ma Muse, Ma Reine and Ma Vie. Ma Flamme ~ "Part of the Dalígramme Collection, Ma Flamme symbolises the complete and forever love between Gala and Salvador Dalí. Created by Alexandra Carlin, this vibrant fragrance will take you through sensual, burning amber and Turkish red rose – two scents that combine in harmony on a rich base of carnal suede and cistus. Finished with the spiciness of bergamot that contrasts with the aromatic vapours of absinthe and Russian sage for a touch of the sweet and herbaceous." Ma Force ~ Part of the Dalígramme Collection, Ma Force evokes the power of Gala who is known for instilling a creative force inside Dalí. Composed by Véronique Nyberg, Ma Force is a mesmerizing scent that emanates power and confidence using notes of petitgrain, elemi essence and Jungle Essence™ black pepper while jasmine absolute notes and heliotrope flower form a powerful and sensual heart. The voluptuous amber, woods of oud and sandalwood also deliver a mysterious aura. A fragrance with magnetic scents that leaves no one indifferent." Ma Muse ~ "Part of the Dalígramme Collection, Ma Muse is inspired by Gala, the muse, surrealist and living myth glorified by Salvador Dalí. Created by Amélie Bourgeois, this enchanting fragrance distills a sweet scent of grace and perfection. The heliotrope with powered and almond accents alongside tuberose, velvety jasmine and sensual vanilla orchid will tease the senses with pure delight. And then to bring Gala’s personality as a leading lady, this fragrance infuses notes of carnation – a flower known for its leathery and addictive notes." Ma Reine ~ "Part of the Dalígramme Collection, Ma Reine is a powerful and lush fragrance inspired by Gala, Dalí's queen. To compose Ma Reine, Mathilde Bijaoui used the spiciness of bergamot to echo the notes of pink berries and a heart of jasmine sambac to ravish your senses. As the perfume develops, you can also uncover the scents of iris absolute, orange blossom and a roundness of vanilla notes. A sensual and voluptuous perfume, this fragrance is irresistible." Ma Vie ~ "Part of the Dalígramme Collection, Ma View [sic] is a perfume of seduction with a touch of intoxicating and exhilarating rum, fiery and absolute Turkish rose and passionate lily. An unexpected touch of Jungle Essence™ hazelnut shakes up the patchouli leaves and reinforces the addiction. This fragrance is truly elegant, mysterious, and wonderfully seductive." The Salvador Dali Dalígramme Collection fragrances are available in 100 ml Eau de Parfum, £170 each at Fortnum & Mason. Hey, these bottles don’t look kitschy enough for the brand (must be the aspirational pricetags). … are clearly trying to get a bite out of the luxury market. How Funny….I actually know a Drag Queen named Ma Flamme.